Manufacturer of a wide range of products which include aperture demagnetizer, platen demagnetizer and trolley type demagnetizer. We have gained expertise in offering Aperture Demagnetizer to the clients. Offered range is used to eliminate magnetism from bearing steel, high speed steel, die steel, spring steel and off path mild steel. This product is accessible in different specification as per the needs and demands of the patrons. Aperture Demagnetizer is made up of utmost quality raw material in observance with quality standards and norms. 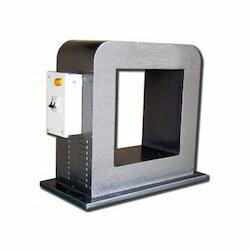 We are an established company for offering Platen Demagnetizer to the clients. Offered range is used for removing exterior residual magnetism. This product is designed by using high value material, mechanism and advance technology. Platen Demagnetizer is widely used in various sectors and is available in diverse technical specifications as per the needs and necessities of the clients. This product is as well perfect for demagnetizing drills, taps and cutters. 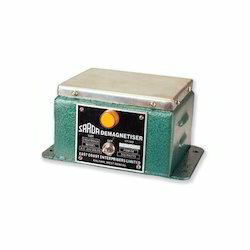 We are the renowned company known for offering Trolley Type Demagnetizer to the clients. Offered range is manufactured under the stern direction of our experts by using quality permitted raw material at our fully prepared production unit. This product is offered in various sizes and other specifications as per the varied needs of esteemed clients. 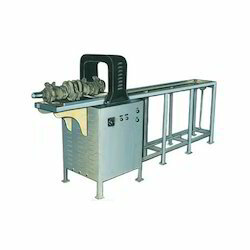 Trolley Type Demagnetizer is commonly appreciated for smooth presentation at the clients' end. Looking for Laboratoty Demagnetizer ?